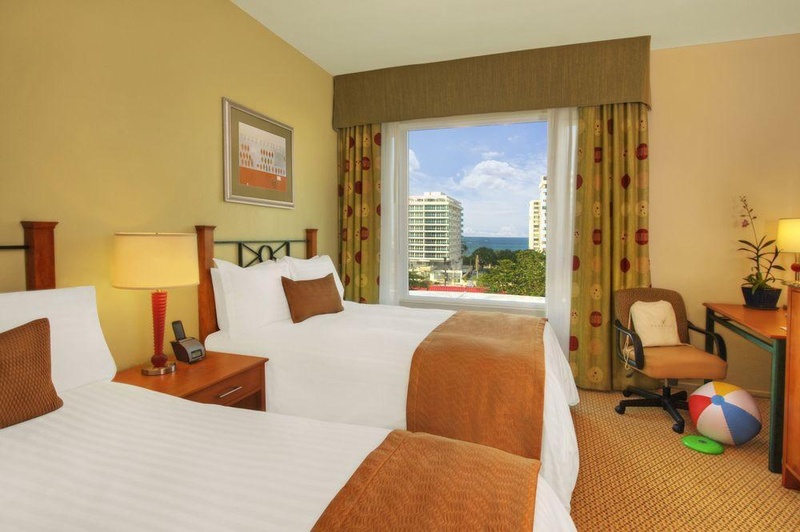 The complex is only one block from the beach, a few minutes from San Juan airport and some 15 minutes' drive to Old San Juan. The air-conditioned hotel, built in 2001, features 222 rooms and is decorated in modern style. 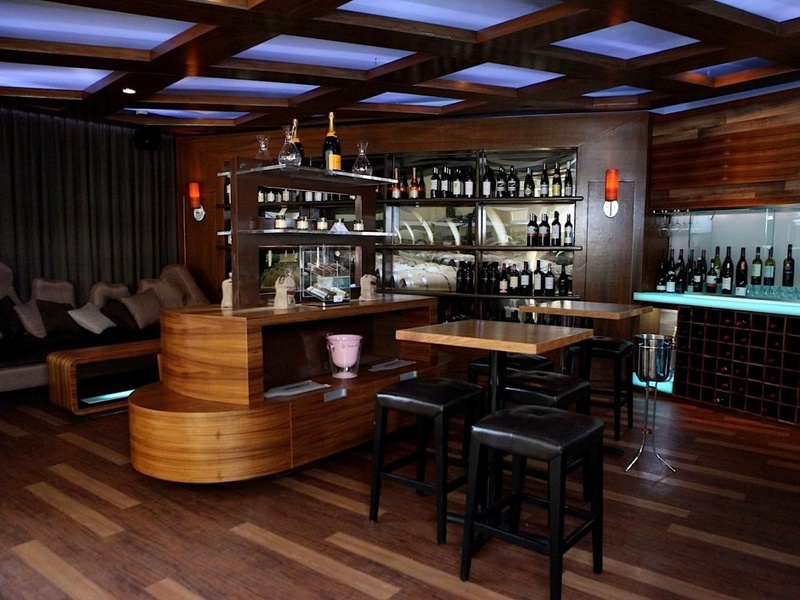 It offers guests 24-hour check-in, a cloakroom, lift access, a bar and a charming, informal café and restaurant. 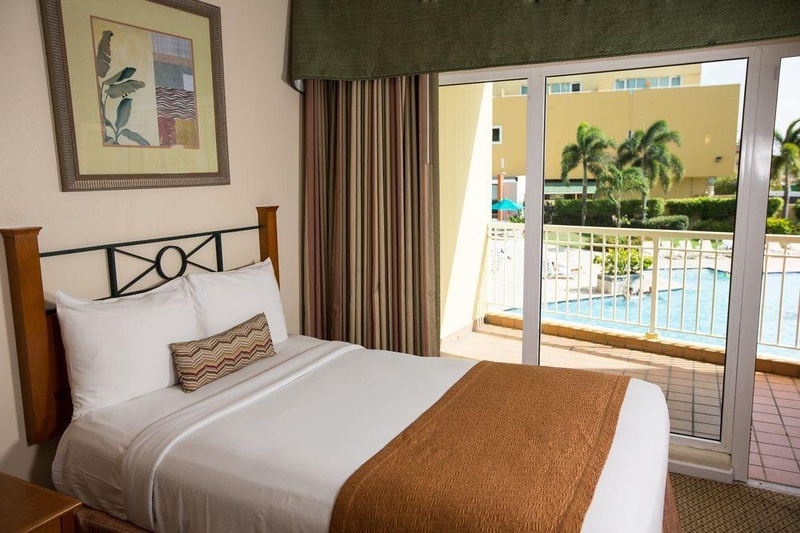 Room and laundry services are available, and there is parking for those arriving by car. Guests may choose between a standard room for a maximum of 4 guests, with a view over the city, a superior room with a balcony or terrace, also sleeping 4 persons, a Deluxe Cabana with a view of the pool or the garden, accommodating a maximum of 2 persons, a Deluxe room with a view of the pool or the sea for a maximum of 4 guests, a penthouse on the upper floor with a sea view for up to 2 persons and a junior suite with a view of the city, also for a maximum of 2 guests. While the junior suites are a little more spacious than all other rooms, a hire safe, a mini-fridge, an iron and ironing board, high quality bathroom fittings, a complimentary coffee machine and high speed Internet access are provided in all accommodation as standard. Some rooms come with a hairdryer, a satellite/ cable TV and individually adjustable air conditioning and heating. 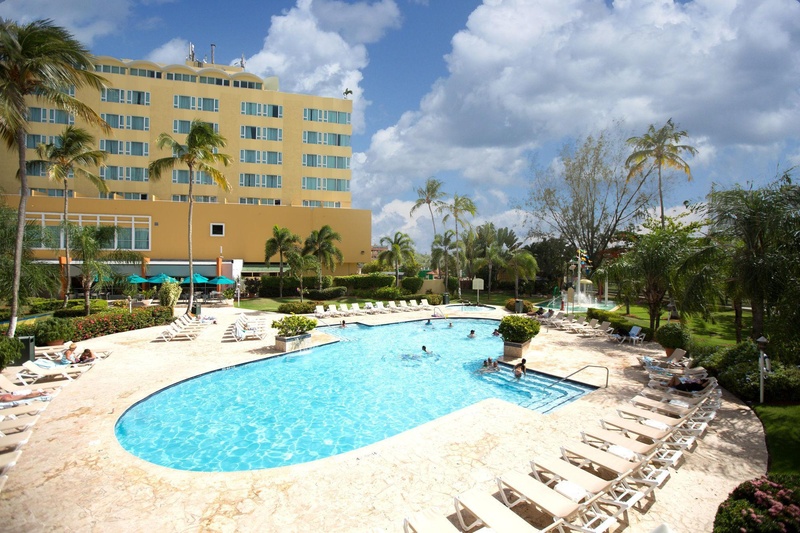 Guests may choose from a wide range of different leisure activities. The complex is equipped with tennis courts, a spa area and a swimming pool, while sports enthusiasts may enjoy a work-out in the gym. The hotel features a lovely, informal restaurant and a café. Close to places to eat. Excellent location. Close to the beach. Very good family hotel. Close to the beach and the airport. Staff exceeded my expectations. Responsive customer service. Service was excellent. AC was not working. Refrigerator was not working. There was no hot water. Charge so much. Too expensive food. Had to pay for parking. AC was not working. Banging noises. Rooms are small. No internet. Internet wifi do not work. Hotel wifi didn’t work.